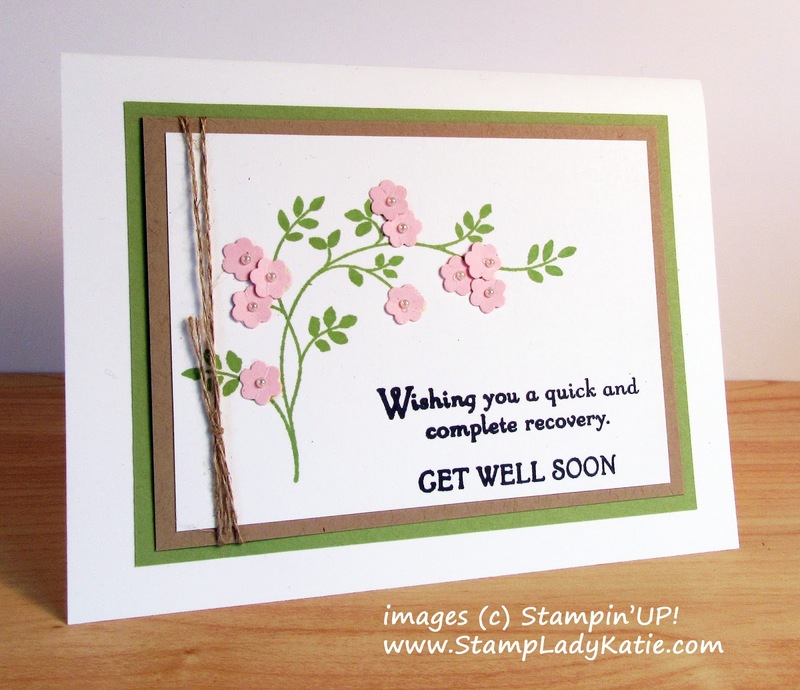 This card has a pretty, feminine look and its also easy to make. 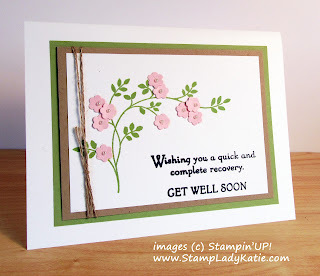 The perfect combo in a card when you want to send a note with Thoughts and Prayers of encouragement to someone who needs cheering up. I have a good friend who is battling Breast Cancer right now and I'm certainly sending lots of Thoughts and Prayers her way. This is such a hard challenge and I'm so impressed by the strength and resolution she shows. Thankfully it was caught early and the prognosis for her treatment is very good. Not everyone's prognosis is as positive as my friend's. So, since this is Breast Cancer Awareness Month I just want to spread the word about early detection and getting screened regularly. Here is a list of product used to make this card.